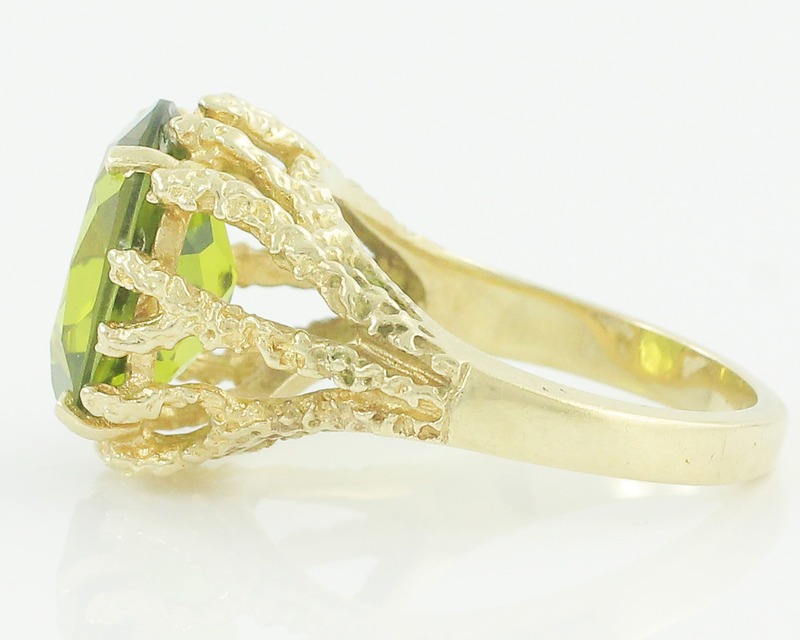 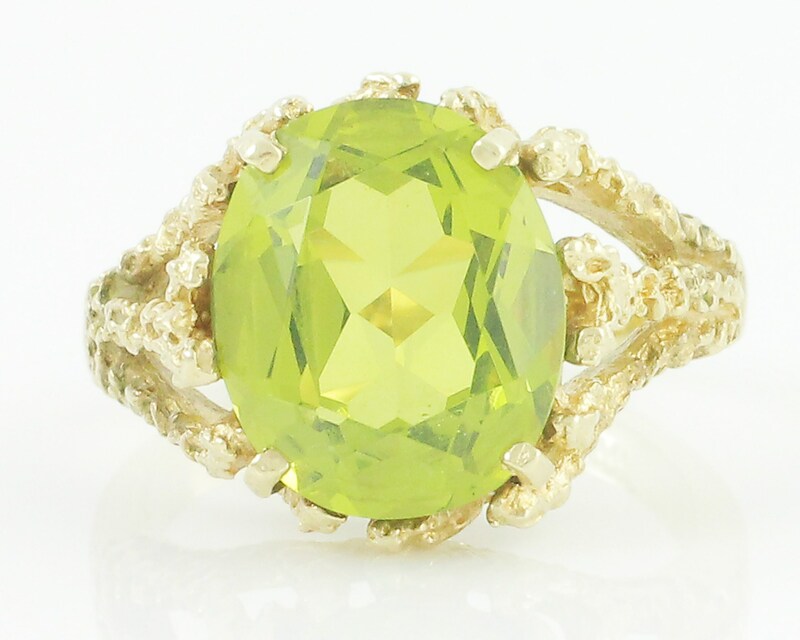 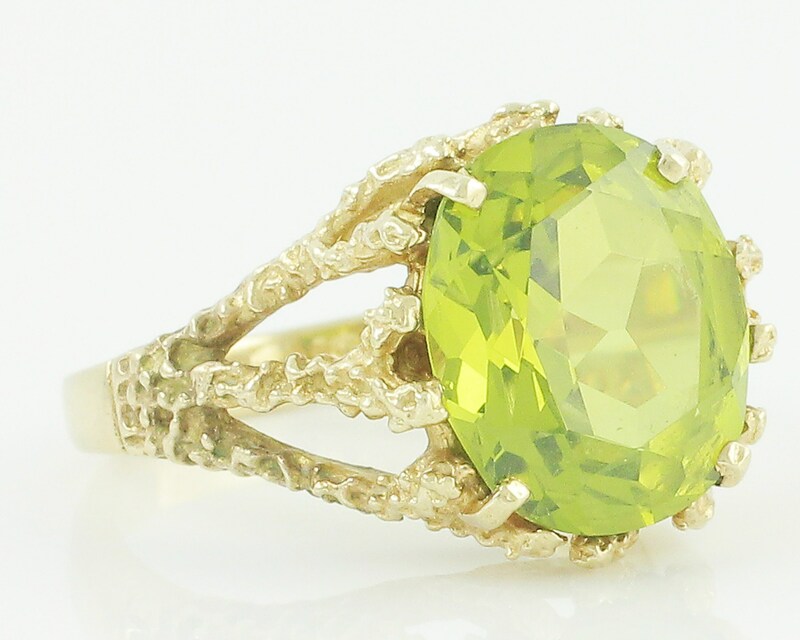 Vintage 10K Oval Peridot Modernist Ladies Ring. 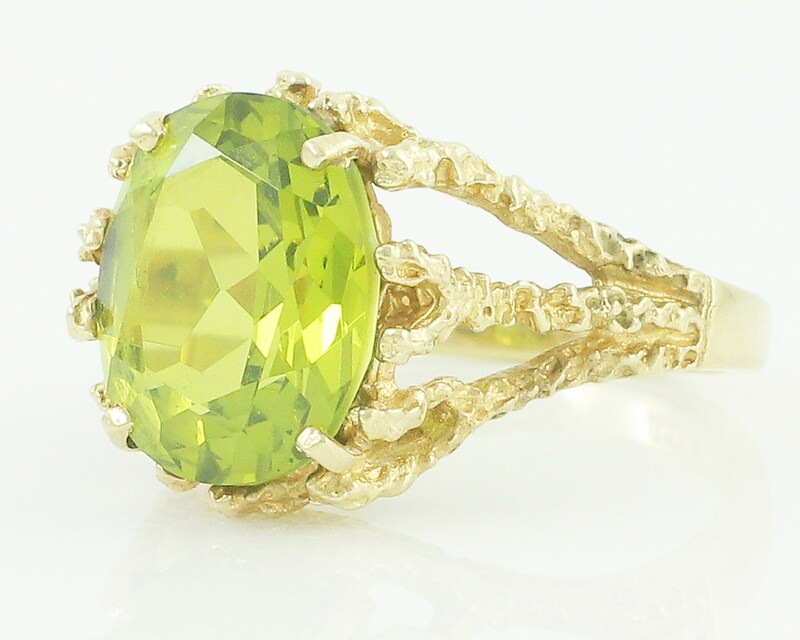 Made about 1960, this 10 karat yellow gold ring features one oval faceted natural peridot that measures approximately 12.5 x 10.5 mm and weighs approximately 5 CT. 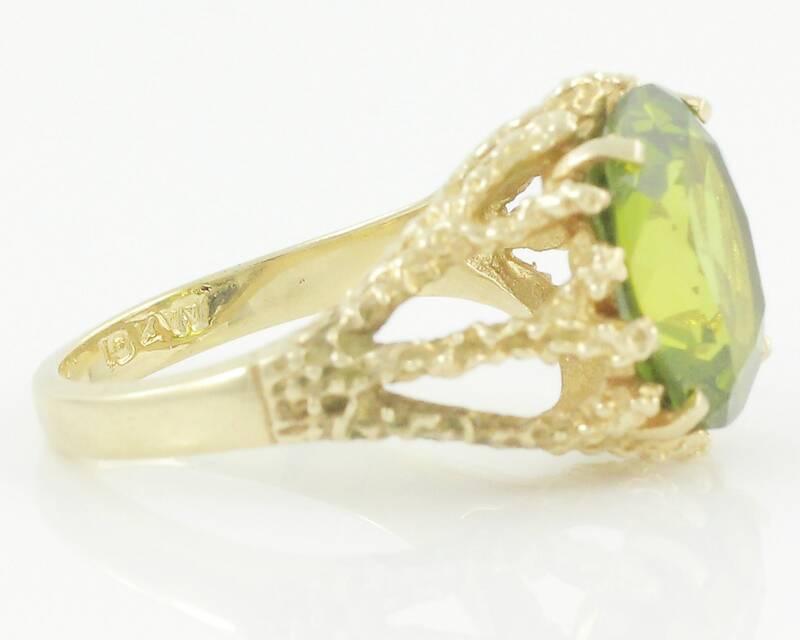 The raised mounting has a modernistic design that seems to mimic live coral. 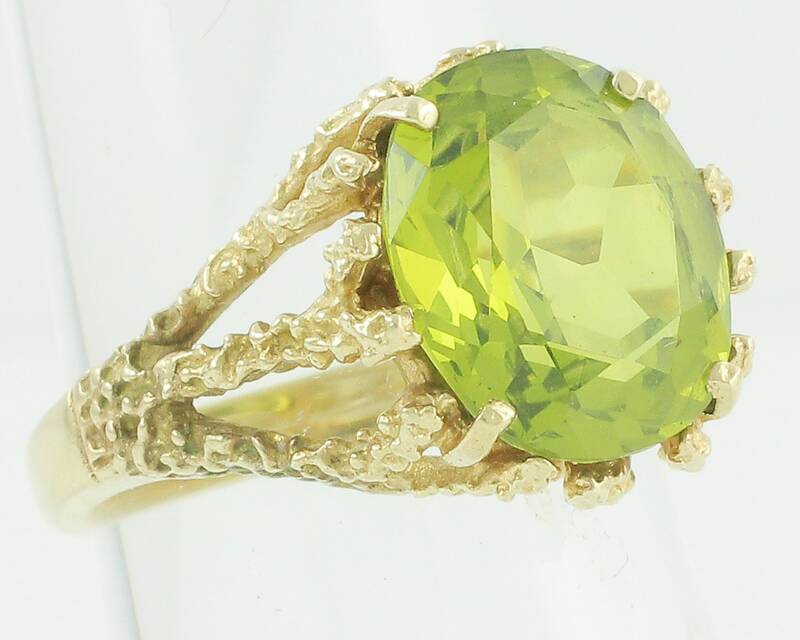 The stones measure approximately 12.5 x 10.5 mm and weighs approximately 5 CT, as estimated by measurement. 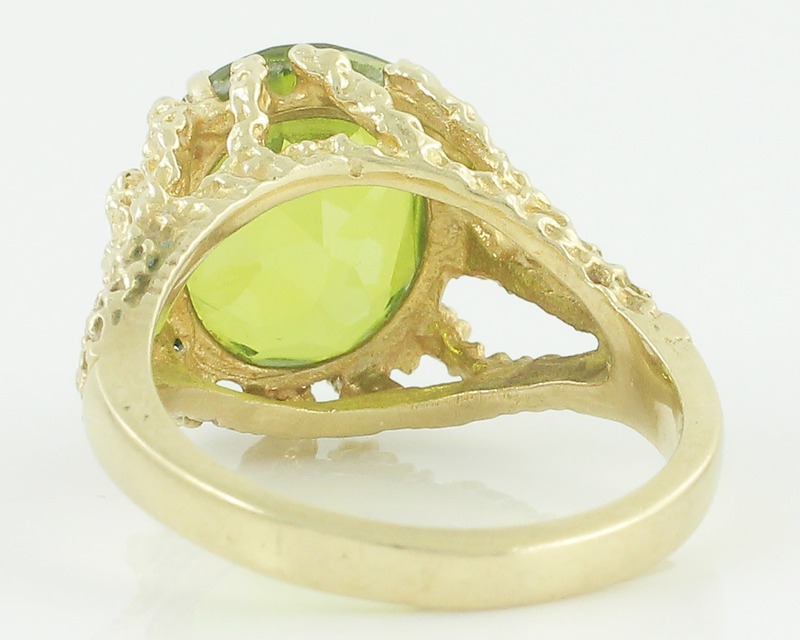 SIZE/MEASUREMENTS: Ring measures 14 mm x 13.5 mm at head and tapers to 2.65 mm at reverse of shank.